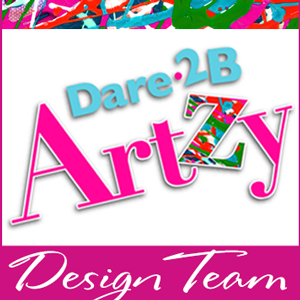 There's a new challenge at Dare 2B Artzy. This month, it was all about summer! Join us. Summer is all about being outside, having fun and doing our best to keep cool. One of the ways that my family loves to keep cool is going to the lake! Today's card is a nod to that using the Dare 2B Artzy Restore the Soul stamps. I used Copic markers to color those adorable ducks: YG03, YG06, G12, G14, YR14, YR61, YR65, Y00, Y02, Y15, Y18, BG72, BG75. I sure LoVe coloring these fun detailed images! The background paper is part of the In Bloom Paper Collection. I dressed up my card with a Cattail die cut and some pearls and flowers. That duck stamps is so cool. Enjoy all your days at the lake this summer. LOVE the colors on this one! The image & background are awesome!